While best known for its deep blue ocean waters, sweeping views of mountains and seascapes, and gorgeous sunsets, Hawaii isn’t all beaches. 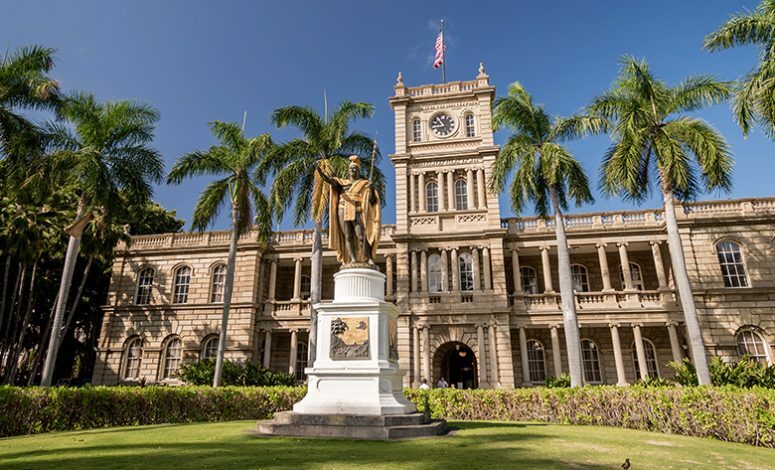 A trip to the Hawaii Islands should include a visit to the many landmarks showcasing the state’s rich history, as well as a road trip that condenses its many turns, curves, and vistas into one happy adventure. Ancient Hawaii and its native people is a tale well told in seven key locations on five different Hawaiian Islands, OC Register reports. Iolani Palace in Oahu, is the only royal palace ever used as the home of a reigning monarch, while the town of Lahaina in Maui is a seaside tourist mecca that used to be the Hawaiian Kingdom’s royal capital from 1820 to 1845. The Big Island is not just a haven of multimillion-dollar houses and luxe vacation rentals, but also brimming with ancient Hawaiian settlements and a royal summer home. The archaeological heritage site known as the Honokōhau Settlement is found in a national historical park south of Kona International Airport, and here visitors can learn how ancient native Hawaiians lived in the old days. It tells of how they survived on the rugged Kona coast and built seawalls composed of lava rack for their fishponds. Nearby, one can be acquainted with the era of the Hawaiian monarchy at Hulihee Palace, built in 1838 and situated in historic Kailua Village in Kailua-Kona. It used to be a summer vacation residence for state royalty and today serves as a museum. The Kailua-Kona region, which today offers almost 60 miles of coastline along Big Island’s pristine west side, is rich in history including farming and ranching in as high as 5,000 feet in elevation. Coffee and cowboys – Discover Kona coffee cultivated on the slopes of Hualalai and Mauna Loa volcanoes, or spend a day with cowboys or “paniolo,” who are lei-wearing ranchers hanging out in the highlands. Saddle Road – This itinerary cuts through the saddle-shaped valley that runs between Mauna Loa and Mauna Kea volcanoes. The road, built in 1942 as a strategic military path, was once deemed the most dangerous in Hawaii. Marvel at the breathtaking sights that include black lava fields and moon-like landscapes. Kealakekua Bay to Kilauea – Learn a thing or two about how Capt. James Cook was killed in 1779 at a beach on Kealakekua Bay in a battle with Hawaiians. Or maybe drive around the southern tip where the lava fields, fishing villages, and green sand beaches lead to the ultimate reward that is Kilauea and the Hawaii Volcanoes National Park.